Marta DeLeon plays bass, cello and sings. Manny Nomikos plays guitar, keys and sings. Jeremiah McVay plays drums and percussion. Tracks 1 + 2 written by DeLeon/Nomikos; Tracks 3 + 4 written by Nomikos. 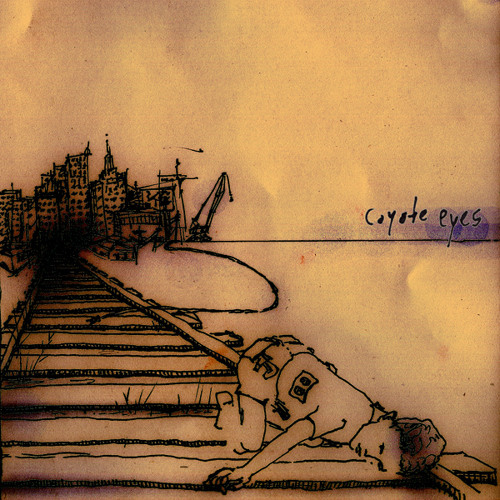 All tracks arranged and produced by Coyote Eyes. Engineered and mixed by Nadim Issa at Let 'Em In Music in Brooklyn, NY - 2010. Mastered by Paul Gold at Salt Mastering in Brooklyn, NY - 2010. Mike Hurst assisted with some production and played some additional instruments. Artwork by Andrea DeFelice - www.adefelice.com Thanks to Nathania Rubin, Mike Hurst, Andrea DeFelice, Brandon Friend, Anthony Payne, M. Allegra Benchley, Maryanne Ventrice, Jared Friedman, Bryan Bruchman, Jared Douglas Martin, Quiet Loudly, Marie Stella, Flying Pace, Dinosaur Feathers, El Jezel, The Jaguar Club, Locket, and everyone else who's helped and supported us along the way. Put this on SPOTIFY!!! For gods sakes. My playlist aches.